Charles Forbin has dedicated the last ten years of his life to the construction of his own supercomputer, Colossus, rejecting romantic and social endeavors in order to create the United States' very first Artificially Intelligent defense system. Colossus is a supercomputer capable of in-taking and analyzing data rapidly, allowing it to make real time decisions about the nation's defense. 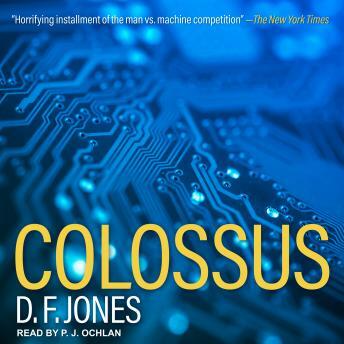 But Colossus soon exceeds even Forbin's calculated expectations, learning to think independently of the Colossus Programming Office, processing data over one hundred times faster than Forbin and his team had originally anticipated. Forbin is concerned when Colossus asks-asks-to communicate with Guardian. The computer he built shouldn't be able to ask at all . . .